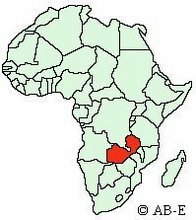 I think I have blogged about this before, but one of the cool things about living in Zambia is meeting really cool people who are giving their lives away for the love of God. Eric and Holly Nelson came by a few days ago. God worked it out so they will be staying in our house after we leave in December. It is a perfect house for them and it thrills us that we met them and that it worked out they could stay in this cool house. 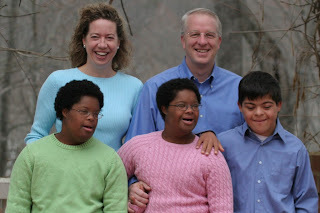 They are spending their lives loving disabled Zambians, and have three adopted Brazilian disabled children of their own. Amazing, normal, cool people. Check out their work! It was cool that after they left, Bradyn that night said, "When I get older I want to do what they are doing." Another by-product of meeting cool people is our girls getting front row seats into meeting cool people as well.